This idea was derived from the sociology of Pierre Bourdieu and developed by Louise in the Aspires project. Science capital can be visualised as a holdall or bag, containing everything you know about science, how you think about it, what you do and who you know. 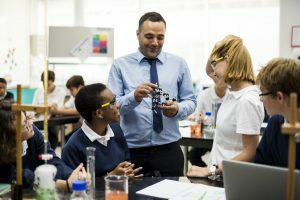 Findings show that those students with a ‘high’ science capital are much more likely to want to study a science subject at university and see science as ‘for them,’ compared to students with a low science capital. 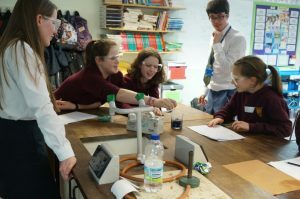 The Enterprising Science project team have been working with teachers in schools across the country to develop and incorporate the science capital teaching approach, to help build the science capital of their pupils. These pillars are underpinned by a foundation, on which the field or domain of learning science must be changed not the student. For example, by challenging stereotypes and dominant ideas represented in science we can help students identify and engage with science. As part of the study, teachers adopted a science capital building approach in the classroom. The outcomes following these interventions has shown positive results. Some of the outcomes include increases in: science capital scores, interest and enjoyment of lessons, student understanding and contribution in lessons. The study highlighted that increasing interest in science alone is not enough to engage young people in science, but the good news is that building students’ science capital is possible. It is not easily achievable by simple or single interventions, but is successful when sustained and ongoing resources and time are provided, to embed and achieve change. Teachers and educators can download the Science Capital Teaching Approach manual for free on the project website. If you missed September’s Policy Lunchbox, we streamed it live and you can still watch it on the Biochemical Society’s Facebook page.